If you thought the “Big Data” revolution is transforming only corporations and politics, think again. The latest vertical to make the ‘big push’ for ‘big data’ is museums! These presumably traditional organisations are fast realising the importance of big data – how knowing the tastes of the audience is important to develop appropriate strategies, both artistic and marketing, and therefore increase revenues. But how are they collecting all this data? Also, 3 out of 4 museum visitors bring a smart phone with them, what could museums do to leverage this? Beacons are the answer! These devices that transmit a signal, allowing a smartphone to register its position within a given space, can glean an impressive amount of data about visitors. Some of this includes – how quickly visitors move through galleries and even how long they stand in front of a particular work of art. In this post, we will discuss how beacons and big data in museums will usher in the future of streamlined visitor experiences. 1. Dwell time: Beacons, can be used to measure dwell times, by measuring how much time visitors spend at different locations of the museum, or which exhibits are most popular. You can understand if an exhibit is popular by itself or if it is because of its placement at a particular location. A visitor’s entire visit can be tracked, providing invaluable data about how long they stayed, which sections they visited, and countless other behavior metrics regarding their visit such as time spent at each section. This data can be used to improve exhibit locations and museum layouts to enhance the overall visitor experience. You could also generate ‘heat maps’ that give a clear picture of the most crowded spots in your museum, and use it strategically to highlight exhibits. 2. Audience Behaviour: Through your museum app, you can keep a track of what your visitors like and what kind of art they are interested in. Understanding this behavior enables you to target marketing for future exhibits or personalize messages to visitors based on their past viewing history. You can send engaging messages with rich audio/video content about the kind of art pieces they like. Such well-thought of interaction engages and excites audiences. The data can also help museums find the most effective tools for teaching their audiences about the art on the walls. 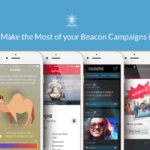 You can also use beacons to generate sales! If you know that a visitor has spent a considerable amount of time near an exhibit , you could recommend similar items for purchase at the souvenir shop. What other data can museums collect, and how can they use it to ensure repeat visitors? How are museums using beacons to redesign interactivity? 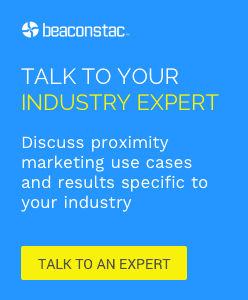 We discussed this in our webinar on ‘How Beacons can add interactivity to museums’.